Last year, GameCritics was introduced to the residents of Hope County, Montana and the sinister “Project” at the Eden’s Gate cult that has affected their lives. Now, we’ve been given a hands-on taste of the game’s opening hours. Far Cry 5 opens with an arrogant federal marshal eager to bring in cult leader Joseph Seed. However, the local authorities were trying to convince him otherwise. I was watching through the eyes of a silent protagonist as the county sheriff tried in vain to convince the marshal to turn back and get more help, but his faith in the authority of the warrant he held convinced him he would be fine. Unfortunately for the group, “Father” Seed garners far more faith and loyalty in his followers than the paper of a distant government does. He willingly allows himself to be arrested, assured in his belief that God will not allow him to be taken. His belief is rewarded when his heavily armed cult resists with force, throwing themselves at the officers in righteous fury. Seeing this as a sign that the End Times have started, Seed instructs his followers to take over the area and prepare the worthy for what is to come. The Reaping has officially begun. After a quick escape from the cult, the game kicks off in earnest. 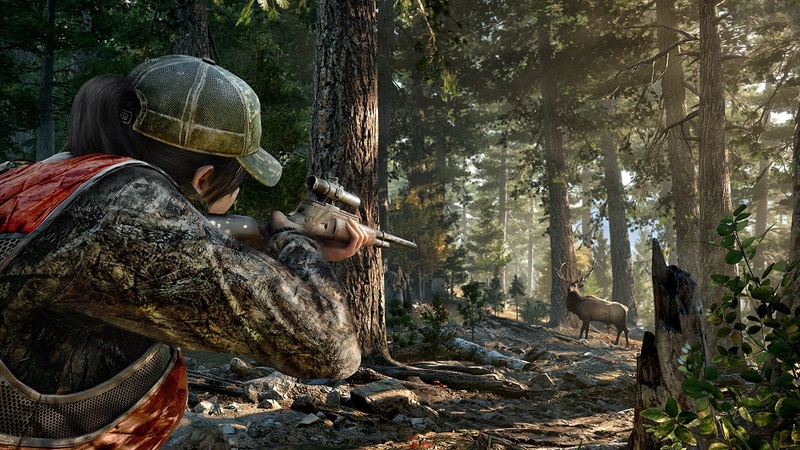 There are several in Hope County fighting back against Seed’s group, and reaching out for their help is essential because Seed has entrusted rule of the county to three siblings. His brothers John and Jacob rule over the North and Southwest, while his mysterious sister controls the southeast. The goal is to destabilize each of these areas, lure out their leaders, and work up to Father Joseph himself. 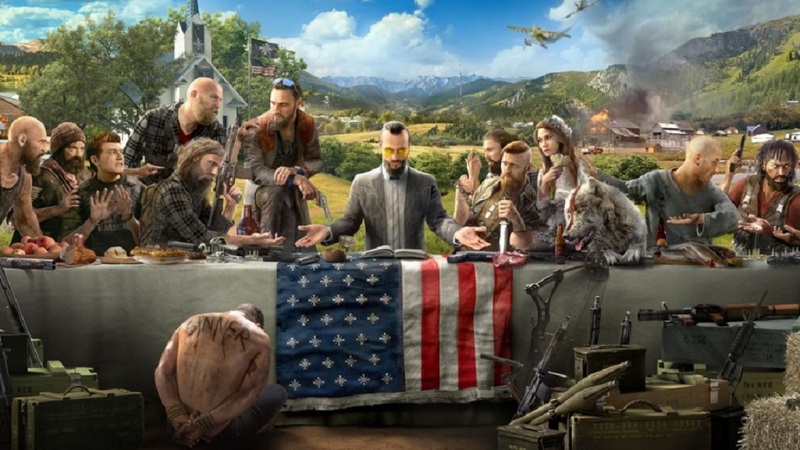 While what I’ve described so far is fairly par for the course when it comes to Far Cry, this latest installment gained a lot of attention for appearing to take on radicalism in pre-release. So what are the politics? I suspect people are going to see whatever they want to see in it. To some, it will be a scathing indictment of flyover country — its people will appear too afraid of the outside world and all too willing to be enthralled by a man who promises to protect them from the evils of “outsiders.” Conversely, it could also be seen as a staunch defense of the Second Amendment. Without the right to bear arms, the cult would have rolled over Hope County well before the game started. 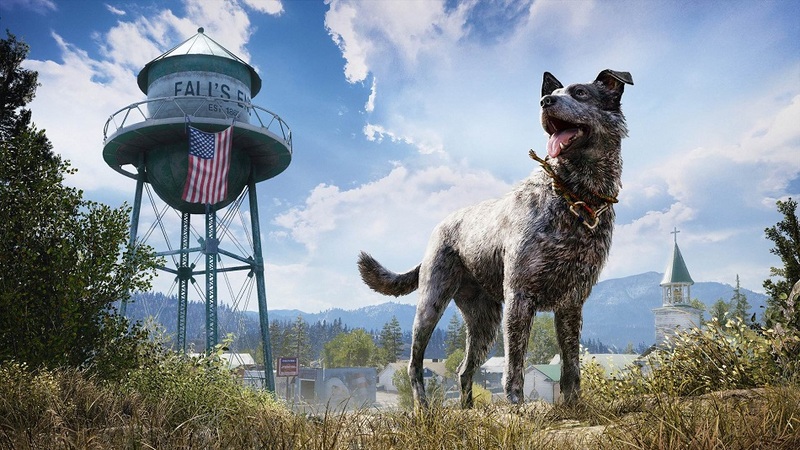 However, in the time I had with Far Cry 5, it never once overtly touched on any of this — in no way did it seem to take a side, and left it up to the player to interpret what they experienced. Of course, as I write this preview I’ve only experienced a small slice of a much larger world, and I have no idea what the game will be like in hour 10, hour 20, or beyond. There’s still plenty of time for the narrative to develop as the campaign progresses, although that’s no guarantee that it will. 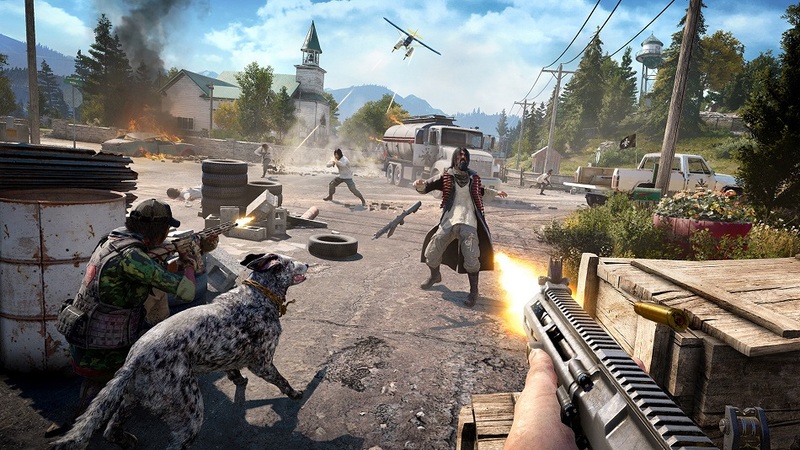 Putting politics aside for the moment, the gameplay loop in FC5 has been seen multiple times over the past few years in the Far Cry series, as well as in many others in similar genres. Destabilize a region through taking down outposts, liberating camps, and causing general mayhem across the area. Lure the leader out and deal with them, and then move on to the next area. During my stay in Hope County I didn’t see anything groundbreaking, but it was still satisfying to play. In one particular mission I was able to jump from a nearby mountaintop into a heavily armed camp. Using my wingsuit to shoot past the perimeter before deploying my parachute and taking out the alarms was a blast. I’m sure it’s safe to expect more of the same. While Far Cry 5 doesn’t initially seem to be too daring when it comes to its core gameplay, that isn’t necessarily a bad thing. It was still quite entertaining, even if it does garner a tiny feeling of “been there, done that”. Stay tuned for a full review of Far Cry 5 after it releases this month on March 27, 2018.